We are located close to some of Cornwall's best attractions such as the Eden Project, National Maritime Museum, Padstow, Lanhydrock and the best gardens and golf courses in the country and we are just a short ride away from the Camel trail; over 17 miles of easy bike riding all the way to Padstow where can treat yourself to Rick Steins Fish and Chips on the quay overlooking the estuary. 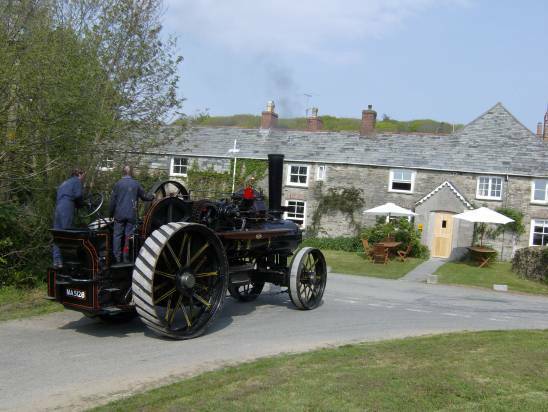 Listed below are some of Cornwall's famous attractions and an approximate distance from the hotel. We have also included useful links so you can find out more. Perfect family cycling route for any ability, very flat! 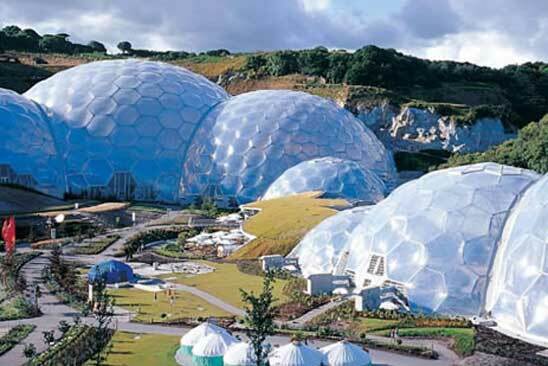 Eden Project - Ever evolving, this world famous project should not be missed. New and exciting projects, displays and events keep Eden a vibrant and ever changing attraction. Eden Project Pictures - More information and pictures releating to the Eden Project. Padstow - A fishing port and home to some brilliant restaurants including Rick Stein. Excellent beaches to visit during any season. For more attractions in and around Padstow see our Explore Padstow page. Pencarrow House and Gardens - This is the home of the Molesworth-St Aubyn's and definitely a lived-in house, not a museum! You will see all the things the family loves best, including their photos, hats on the classical statues. Camel Valley Vineyard - Multi award winning wine. Take a tour of this a very enjoyable attraction. Fly & Salmon fishing - Fenwick Trout Fishery, Dunmere, Bodmin - Trout fishing in a two acre lake stocked with Rainbow and Brown trout, plus 570yds of salmon fishing on the bank of the River Camel. Telephone 01208 78296. Open throughout the year from 9.00 am until dusk. National Maritime Museum Cornwall - Housed in an award winning building on the Falmouth harbour-side, the National Maritime Museum Cornwall transports you into the world of small boats and Cornish maritime history. Worth a day trip! 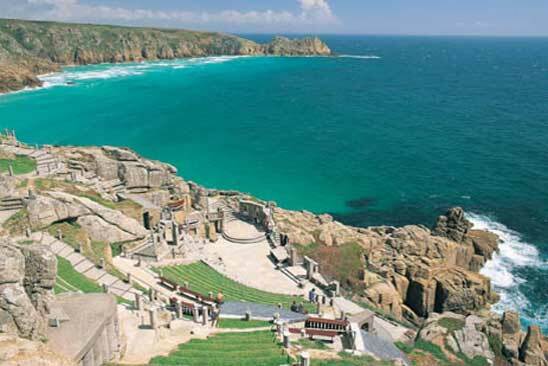 Minack Theatre - Shows and spectacular views of the coastline.